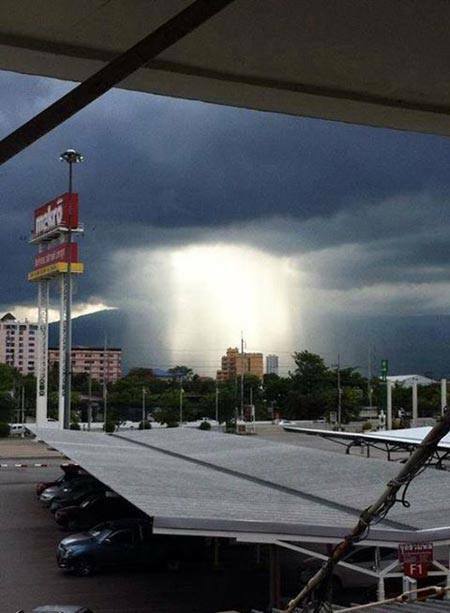 Is this a new gate to heaven? 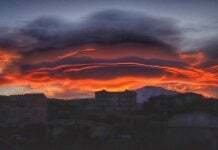 This amazing sky phenomenon called the ‘Tyndall effect’ is pretty mind-blowing. 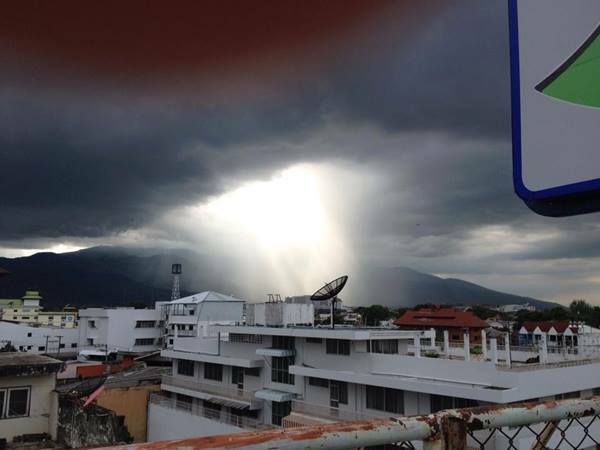 It was sighted by thousands in the sky over Chiang Mai on June 12, 2014. 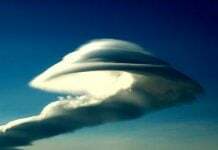 This spectacular, unusual and rare natural spectacle emerged from the sky of the city, last Thursday, and surprised thousands who witnessed this unexpected physical phenomenon. 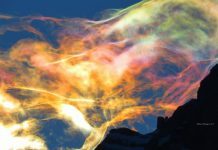 The Tyndall effect, also known as Tyndall scattering, is the physical phenomenon responsible for light scattering by particles in a colloid or particles in a fine suspension. It is named after the 19th-century physicist John Tyndall. The Tyndall effect is clearly visible when a car drives through fog with headlights on or when the sunlight illuminates a dusty room. It is also responsible for the turbidity that presents an emulsion of two clear liquids such as water and olive oil. 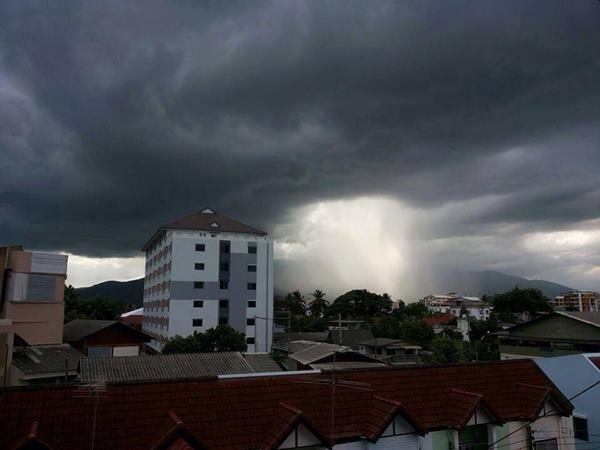 Let’s say that the air of Chiang Mai, Thailand, is pretty dirty (…dusty)! More information and pictures here!